The Corps is dishing out big bonuses for grunts and other jobs. Here’s what’s in it for you. The Corps’ latest Selective Retention Bonuses are packing all kinds of goodies for a slew of job fields, but this year’s plan dishes out nearly $70,000 for qualified Marines in specific infantry billets. New for this year are kickers for air traffic controllers, infantry squad leaders and a series of squad leader initiatives to boost the lethality of the Corps. The Corps is planning to dole out nearly $136 million in fiscal year 2019 in bonuses and kickers to incentivize Marines to stay in. 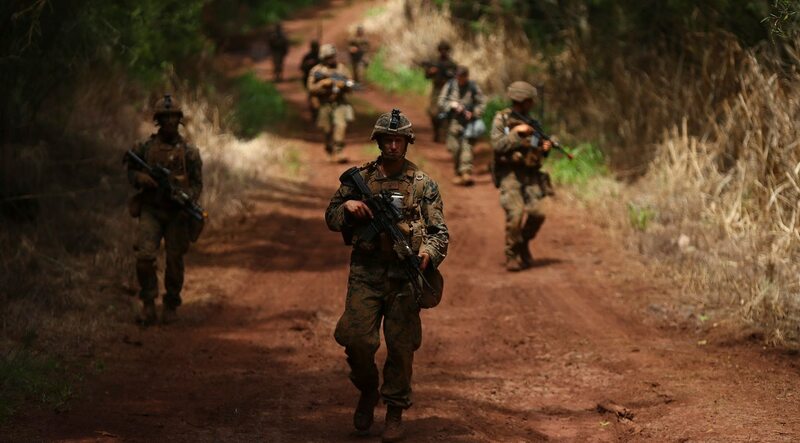 “There are three infantry squad leader initiatives intended to increase lethality in the Ground Combat Element by focusing corporals and sergeants who have completed or will commit to completing Infantry Small Unit Leader Course [ISULC] and have between 5 to 7 years of time in service,” Yvonne Carlock, a spokeswoman for Manpower Reserve Affairs, told Marine Corps Times in an emailed statement. Squad Leader Development Program: Marines re-enlisting for 36-48 months and lateral moving into the primary job field of infantry squad leader, or 0365, are eligible for $30,000. The bonus applies to FTAP Marines [First Term Alignment Program] in the primary job fields of 0311 riflemen, 0341 mortarmen, 0351 infantry assault and 0352 anti-tank missile gunner. Marines must remain in the operational force for a minimum of 36 months and are eligible for the 72-month lateral move kicker of $40,000, which can net qualified Marines a total of $70,000. Lateral move kickers are for Marines re-enlisting for 72-months and lateral moving to specific job fields. Squad Leader OpFor Kicker: Marines re-enlisting for 48 months are eligible for $20,000. The bonus applies to FTAP corporals and sergeants hailing from the 0311 field who intend to become ISULC complete or are already ISULC complete. The Marines must agree to remain in the infantry battalions for 24 months. The kicker can be added to any additional primary job field bonus. If an 0311 Marine has a job field bonus of $4,500, he can earn up to $24,500 with the kicker. 24-Month Qualified Rifle Squad Leader Initiative: First-term 0311 corporals and sergeants who are ISULC complete can get $10,000 if they extend for 24 months. The Marines must remain in the infantry battalions during the extension. Also new this year: Kickers for air traffic controllers. Zone A and B Marines who re-enlist for 48 months with the primary occupation of 7257, or air traffic controller, and hold or intend to gain an necessary military occupational specialty, or NMOS, of 7252, 7253 or 7254 will get a $20,000 kicker on top of any primary MOS bonus. Zone A Marines have between 17 months and six years of service while Zone B Marines have between 6 and 10 years. Aircraft maintainers stand to make a lot of cash depending on their zone and qualifications. The Corps is dishing out $20,000 kickers for aircraft maintainers from corporal to gunny who re-enlist for 48 months and are holding current qualifications of collateral duty inspector, quality assurance collateral duty representative, quality assurance representative or safe for flight. The Marine must be willing to remain with a maintainer unit for the first 24 months after completion of the Marine’s first contract. An F-35B maintainer in Zone B with the right qualifications who re-ups for 48 months and agrees to stay on station gets the $20,000 kicker and a primary MOS bonus of $30,000, for a total of $50,000. There’s also a $20,000 kicker for Marines who re-up for 48 months and volunteer for recruiting, drill instructor or Marine Security Guard Detachment Commander. These kickers are predicated on the Marine obtaining these job fields and completing necessary training. “Kickers were highly effective in FY18: Early Reenlistment Kicker resulted in more than 2000 submissions above average; SDA Kicker resulted in more than 1000 volunteers; Aircraft Maintenance, 672 qualified Marines opted to remain in flying squadrons; and 411 of 493 FTAP Lat Moves elected the 72-month Kicker,” Carlock told Marine Corps Times. 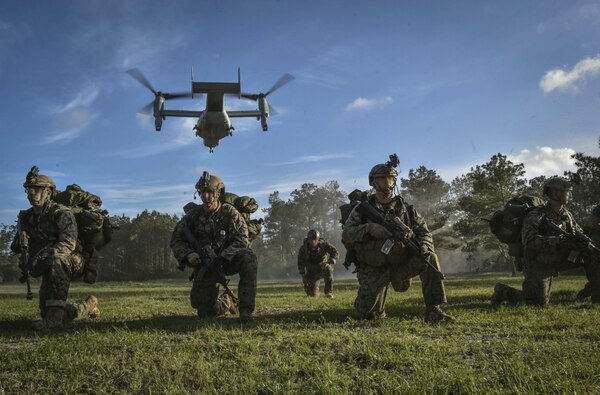 Big this year are bonuses for Marines lateral moving into recon, counter intel, cyber or those looking to become elite special operators with the Raiders. On top of the $50,000 bonus a sergeant can net moving into these fields, he or she also rates a 72-month lateral move kicker, meaning these job fields can fill a Marine’s wallet with $90,000 in cash. The Corps is dishing out up to $10,000 on top of any Selective Retention Bonus for Marines across Zones A, B or C in specific job fields specified in the MARADMIN if they re-enlist for 48 months between July 5 and September 30. To see a detailed list of the requirements and information related to bonuses and kickers check out the recent MARADMIN.